Who better to tell you how the Mafia works than the man who in real life was an Italian prosecutor and advisor to the government’s anti-Mafia Committee? Gianrico Carofiglio’s latest tale is set during the upsurge in Mafia violence in 1992 during which two of the most prominent anti-Mafia prosecutors in Sicily and those accompanying them were murdered by the mob. Here we learn of the gang wars going on at that time in Apulia. Forget the hype. 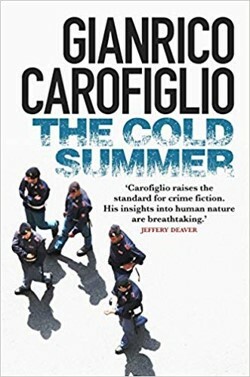 Carofiglio’s Mafia is not a supranational highly organised criminal network of unholy families but a ragbag of violent street gangs, each defending its turf and squabbling – albeit murderously – with its neighbours. What will happen when the son of one such gang leader is kidnapped and murdered? It’s down to Carabinieri officer Pietro Fenoglio (Carofiglio’s new series hero) to stop the mayhem. This at times meditative book teaches us much about gangland’s childish rituals and Italian police procedure but still racks up some tension before its realistic conclusion. It’s a book for adult readers, about gangsters who are little more than viscously bad boys.